Wedgie's wonderful world: Brrr...its a bit chilly....time for a quilt! Well, if you are in the UK I hope you survived the storm on Sunday night! It was really windy here in Farnham and we lost two of our fence panels....apart from that everything else survived ok. 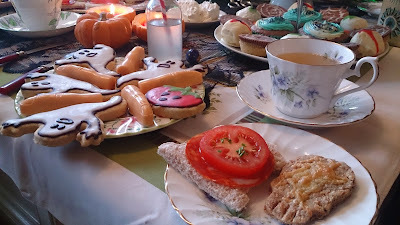 I really love Halloween afternoon teas, you get to be so creative! For this tea we had snail wraps and skull cheese biscuits. We indulged in eyeball cake bites, ghost biscuits and cobweb millionaire shortbreads to name a few of the sweet treats! 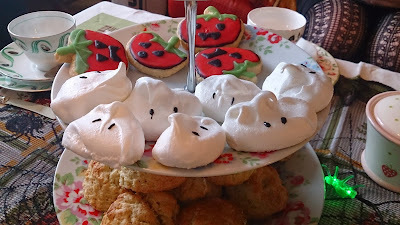 To find out more and to see more scrummy photos pop by the Tea with Me and Friends afternoon tea blog! So, on with this week's challenge from My Time to Craft...this week the weather seems to have got a bit colder and so you might have got your winter quilt out. To mirror the colder weather we'd like to see some quilting on your cards this week....all you need to do is make your background look like a quilt! 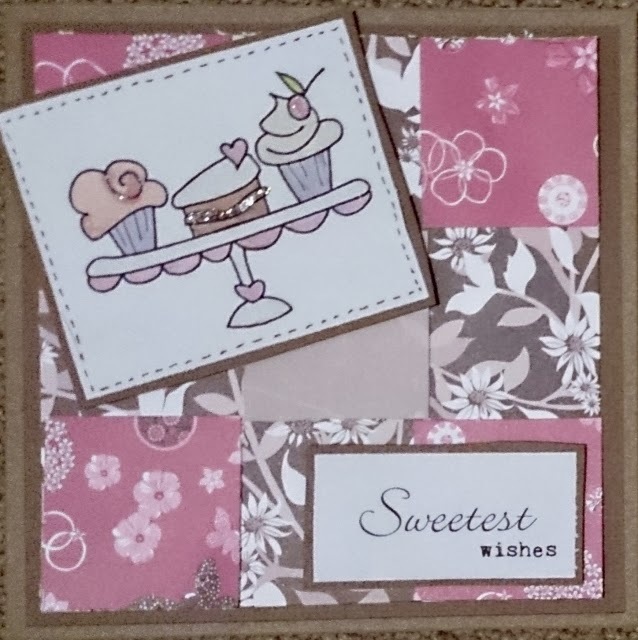 I've gone with a pink and brown colour combo that I love - I think it looks so sweet, especially when topped with a cake or two! My image is from Digi Stamp Boutique and I have coloured it with my Promarkers - adding a little sparkle with my Stickles. I've also added some faux stitching to the card and a printed sentiment. 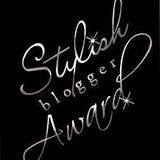 Pop by the My Time to Craft website for more fab inspiration from the DT. 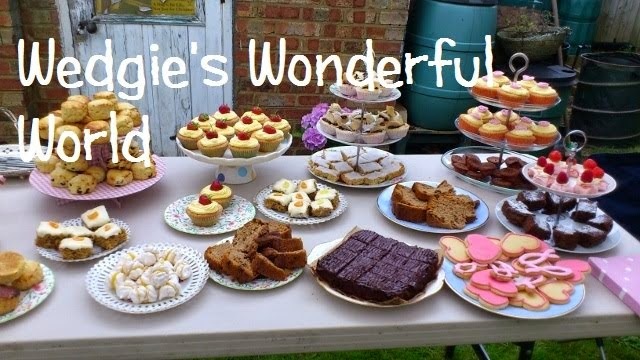 If you get the chance pop by these fab challenge blogs! 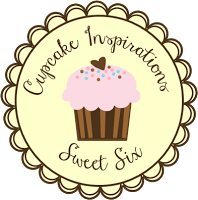 Quilts and cupcakes - a winning combination! Lovely card Wedgie, great quilting. Ummm your afternoon tea looks so yummy and you had shortbread my favourite. Love the card, your quilting looks great and the image looks so inviting lol. Sorry I haven't been by in a while. Great card & colour combo hun! Great card Wedgie and love the quilted effect. 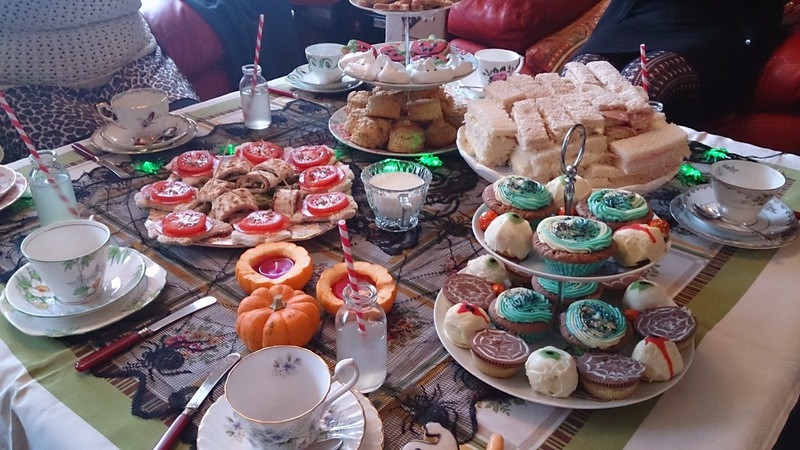 looks like you had a great Halloween tea party! What a SWET Card! Love your Gorgeous colouring and Colour Comb!